Ice hockey, arcade sport, action game with elements of violence. We have added everything we know in Super Blood Hockey review including its story, gameplay, preview, release date, trailers & walkthroughs. Build your squad. Provide better diet to your players & drugs to enhance your team’s performance to win the tournaments. Player can also take part in global tournaments. Customize your team & use better skating, positioning, strategy & violence to ensure your team’s dominance on the icy fields. 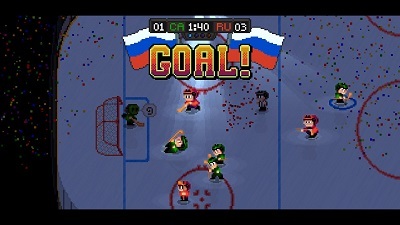 Global Showdown is one of the game mode in which player take part in a global ice-hockey tournament. The other modes are the Challenge mode that contains 4 vs 8 & where player controls the goalie manually & other modes are the 12 vs 12 Mega Rumble, Turbo Mode & even more modes. 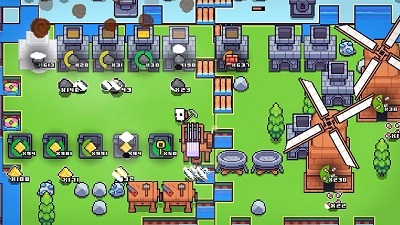 Player can enjoy playing 4 player multiplayer as well. Watch Super Blood Hockey official steam trailer. Watch Super Blood Hockey official trailer. 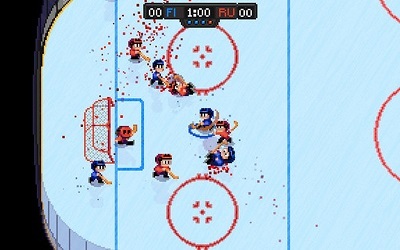 Watch Super Blood Hockey gameplay walkthrough ep. 1. Iron Snout is a free to play game available to download on multiple platforms including Android, iOS, PC Windows, Linux, Web browser & Mac. Button-mashing fighting, beat them up game. Player control a piglet in its fight against large number of wolves. 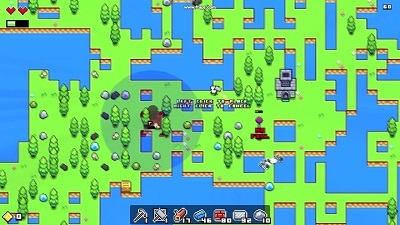 The game features horizontal movement. 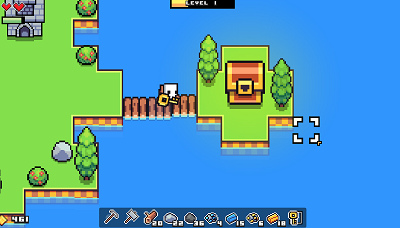 Player can use keyboard arrow or WASD in order to jump, duck, slam down, punch, kick & catch stuff. Watch Iron Snout official trailer. Watch Iron Snout gameplay walkthrough. We have added everything we know in Truberbrook review including its story, gameplay, release date, trailers & walkthroughs. Truberbrook is set in Germany in late 1960s during Cold War. You can control an American physicist named Tannhauser who travels to Germany village of Truberbrook. You will face difficulties as you dive into the village’s mysteries. Strange things happen in this village & you must find out the reason. Tannhauser wins a ticket to a town of Germany in a lottery & he visits the town to get some rest. Later he finds out that he is here for a reason & he must protect this earth. After arriving at the village, he is robbed but the robber only takes away his work on physics. He starts finding the thief & he meets very strange people & he meets the young anthropologist Gretchen Lemke, who is the only person who seems normal. Truberbrook is a point & click adventure game which allows you to explore the environment, pick items & talk to non-playable characters. You need to solve puzzles in order to progress. Truberbrook allows you to explore new locations, where you need to complete objectives. The puzzles in this game can be solved with logical thinking, although in multiple cases they can be solved by searching & combining objects. Sometimes you need to convince NPCs or involve in more activities, such as taking a psychological test. 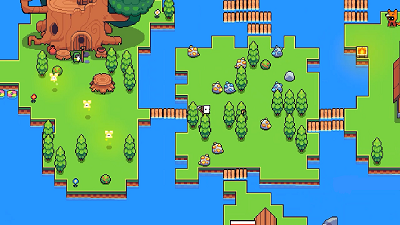 Truberbrook was released on PC Windows, Mac & Linux on 12 March 2019. 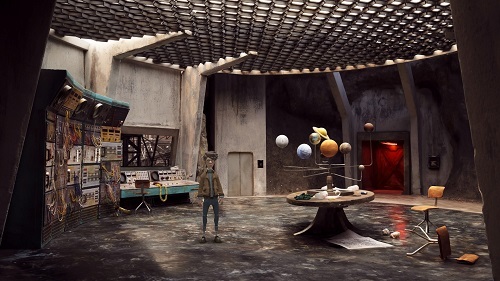 The game was launched on PS4, Xbox One & Nintendo Switch on 17 April 2019. Watch Truberbrook interrogation trailer. Check out Truberbrook official trailer. 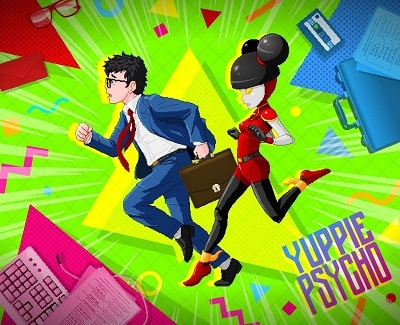 We have added everything we know in Yuppie Psycho review including its story, gameplay, preview, release date, trailers & walkthroughs. Player controls Brian Pasternack, who joins a company named as Sintracorp. Player is unprepared & also unqualified for the job. Player finds that his job is to hunt a witch who used her powers for the company success, but now the witch torments company’s employees. Player has to meet company’s employees & odd characters. 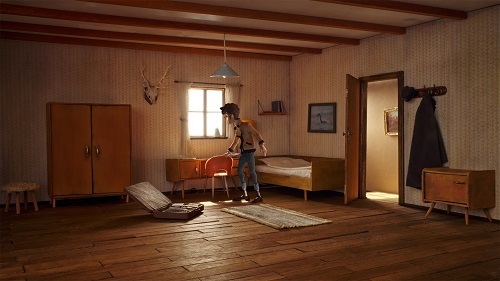 Player has to explore the secrets of the company’s mysterious past. Player has to familiarize himself with workspace. 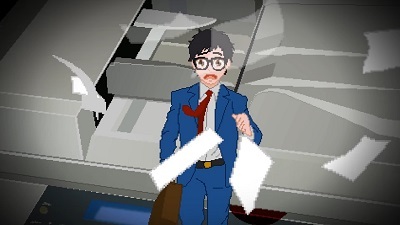 Player can use the elevator in order to find who is working what & what is happening on each floor of the company. Player has to know when to talk & when to work. 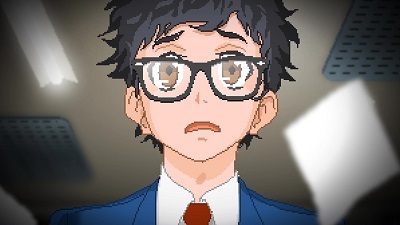 Player has to investigate co-workers & find their secrets. Player has to uncover clues, solve riddles, explore new paths & make sure that the Witch does not catch you. 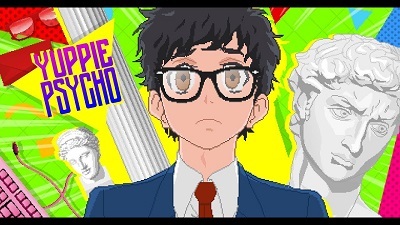 Watch Yuppie Psycho reveal trailer.